Last issue, we opened up the video gaming industry that has had tremendous growth over the last 10-15 years. This being caused by the technological advancements made in the online competitive gaming world that has grown with it. IRacing is a relatively newer platform that hosts 6 different events, that are all different types of racing. From NASCAR to Open Wheel to Rally to Sprint. They cover a wide range for racing enthusiasts. With iRacing growing and handing out cash prizes to the victor. This has fast become a favorite for competitive gamers around the world. These championship series’ are also all sponsored and endorsed by the racing forum it markets from. 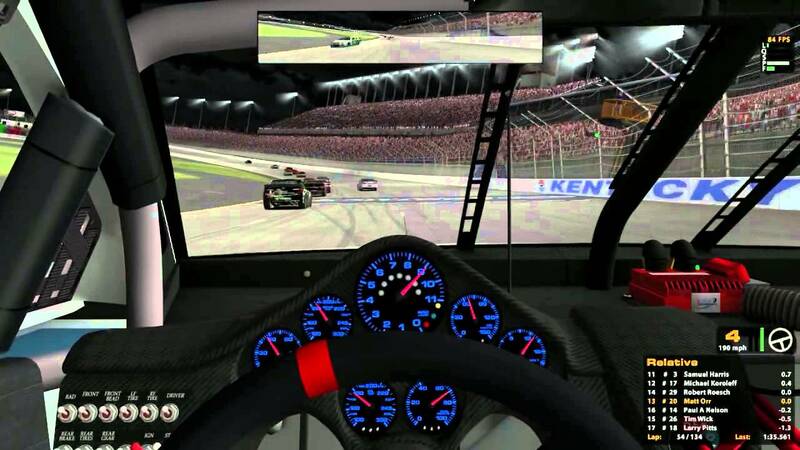 Professional iRacing teams are created and utilized much like a real racing team. With multiple cars, drivers, and a team to interact with. With championship series events happening all year. Many of the players travel to the conventions where the events are being hosted. Developers all over the world are working on creating the greatest experience possible to have the most competitive, talented racing enthusiasts come to their series to compete. Being an authentic experience is a top priority. To develop a racing feel that is as true to its roots as possible. You can literally feel like you’re in the cockpit of the vehicle. To train like this as a competitive racer is useful, but also detrimental. Obviously, nothing is like the experience of the real thing. Feeling the car out, understanding the controls, the grip of the road, etc. However, for an off season, weather-controlled area. To keep your skills and timing potentially intact while you’re not racing. This online appearance can give a driver some training that they would otherwise not have at their disposable. It’s not every day you can hop into a multi-million dollar racing vehicle and take it for a few laps to “practice”. iRacing isn’t the equivalent to any live racing forum. Whether it’s Go Karts or Indy Car, but it gives competitive gaming another angle that is as close to the real thing as possible. Also, it doesn’t hurt that they hand out cash prizes to the winners of competitive online gaming. It does actually pay to play video games in some cases! The dream career for most adolescent males growing up.